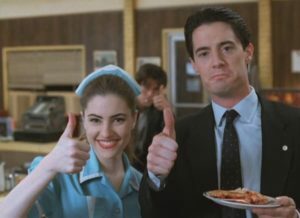 Have you been watching the new TWIN PEAKS? I have. I just watched the WTFy-est ever episode 8 last night, which some are calling the most groundbreaking night of television in history. It was certainly groundbreaking in cinematic and conceptual terms: strange, terrifying, sometimes incomprehensible, always gorgeous. It touched on the nature of pure evil and brought us into the heart of an atomic explosion. But do I want something… more? Call me greedy, but I do. Look, I have to admire David Lynch’s dogged, uncompromising commitment to putting his own vision out into the world. 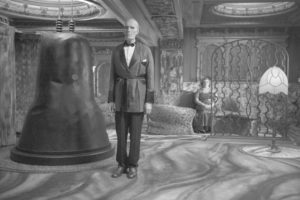 It’s amazing, really: Lynch hadn’t even made a movie in about a decade, his grosses are have always been in the “art house” scale, not the “blockbuster” scale, and his recent ventures (Inland Empire, Mulholland Drive) left viewers and reviewers simultaneously amazed at his prowess and scratching their heads at the plots. Yet somehow he convinced Showtime to pony up tons of money to fund 18 hours of the Twin Peaks: The Return while giving the network little to go on as to what they’d actually be getting. You’ve gotta hand it to the guy. And no doubt: much of what he’s putting on the screen is extraordinarily beautiful, even when it’s beastly. Given how much crap there is out there in TV land, it IS kind of marvelous that Lynch is putting out such weird, arty, esoteric stuff – when I look at it one way. When I look at it another way, though, I find myself disappointed. 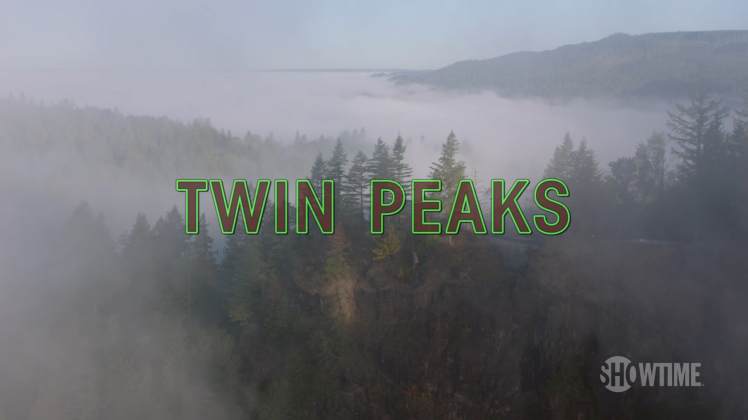 I know there’s still half the series to go – and I know it’s not fashionable to admit (judging by the rapturous reception by most critics) – but I came back to Twin Peaks mostly to reconnect with the characters from 25 years ago. I hoped I’d see more of them. And that’s the frustrating thing to me. Most of those actors are actually THERE – at least they’ve been cast in The Return. They’ve been hired! They’re on set! But Lynch and co-creator Mark Frost have shown us precious little of their characters in the first half of the season. We’ve only seen glimpses of Hawk, Andy, Lucy, Norma, Shelly, Bobby Briggs (now a cop?!?! ), Mrs. Palmer, Dr. Jacoby… we haven’t even seen Big Ed or Audrey Horne yet. Hell, we’ve only seen a few moments of Agent Cooper himself in all his Agent Cooper-ness, outside of his reawakening self inside the life of Dougie Jones. I’m just conscious that this is the last time these actors will probably be together – some of them are already gone: Frank Silva as BOB, Catherine Coulson as my personal favorite, “The Log Lady.” I was just hoping I’d see more stories about the characters I grew to love 25 years ago since so many of the actors have reunited for the series. Maybe we’ll have more time with them in the rest of the season? Maybe they’ll have more than cameos? at they’re doing seems to be more than enough for some viewers. Me, I’ll keep watching and hoping I’ll get served a bigger helping of coffee and pie in the Double-R Diner along with the metaphysical main course. This entry was posted in Uncategorized. 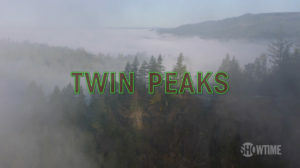 Share link: http://www.edvalentine.com/halftime-report-twin-peaks-the-return/. Follow comments with the RSS feed. Post a comment or leave a trackback: Trackback URL.